Kathy lives and works in the Scottish Highlands which offers her endless inspiration for her dramatic and bold works. She is greatly influenced by the Scottish Colourists, admiring their strong brushwork, composition and reverence to nature. She tries to emulate their methods of capturing light and their balanced and harmonious use of colour. 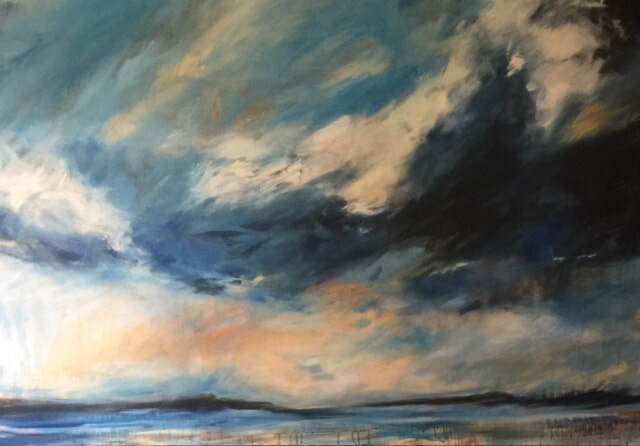 Unyielding Sky (100 x 150 cm + frame) Oil £1800. 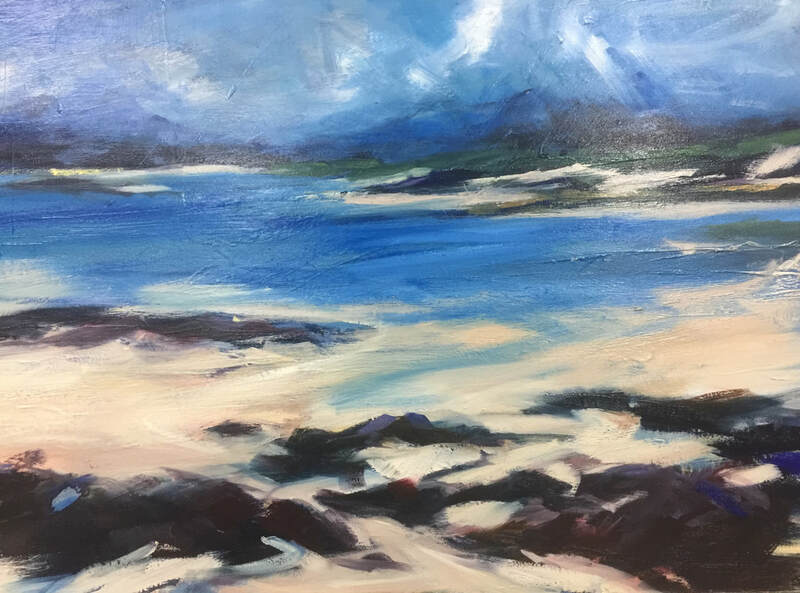 Beach at Applecross (60 x 90 cm + frame) Oil £950. Spring Beinn Aingh Charr ( cm + frame) Oil £850. 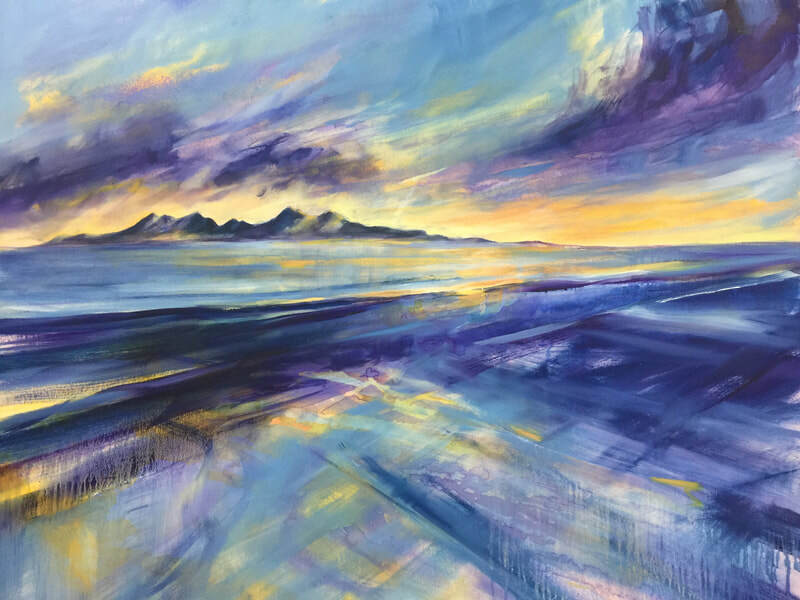 Towards Rhum (100 x 120 cm + frame) Oil £1500. 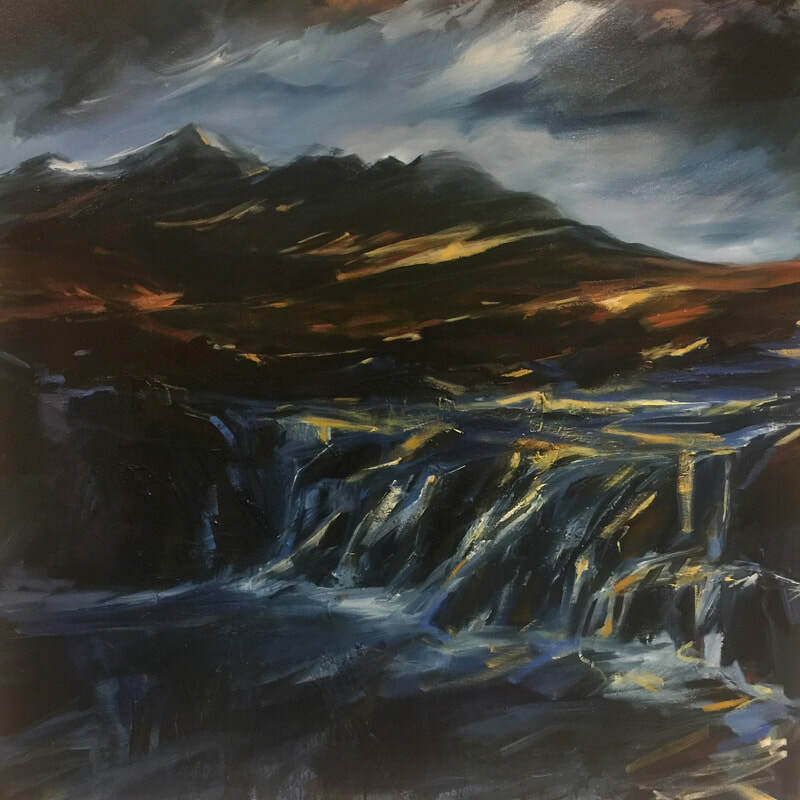 Last Light over Sligachan ( x cm + frame) Oil £1200.